Rhys has a Masters degree from Oxford Brookes University and is a Chartered Member of the Royal Town Planning Institute. 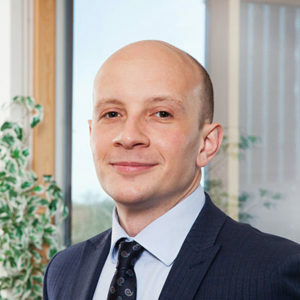 He has over 14 years experience in the public sector at Northampton Borough and East Northamptonshire Councils where he had the opportunity to work on a range of projects including large scale residential and commercial developments as well as renewable energy schemes. Prior to joining Howkins & Harrison, Rhys managed the Development Management team at East Northamptonshire Council whilst working on the Rushden Lakes retail development, Tresham Garden Village and Rushden East Sustainable urban extension. Rhys is a Senior Planning Consultant based in the Rugby office. His work involves advising a range of clients on planning and development opportunities as well as preparing and project managing planning applications through to determination and appeal when required. He also advises local authority clients on major development proposals.